Looking for the latest gaming graphics cards for your rig? Well, yesterday marked the release of the NVIDIA GTX 980 Ti series. Head over to our NVIDIA GTX 980 Ti tracker to see what is available and to add items to your account for alerting. If you want to get a leg up on the competition, while saving yourself some cash, then you better take a good hard look at the recently announced NVIDIA GTX 980 and GTX 970 cards. A lot of people have been speculating on the pricing of the upcoming AMD R9 290X video cards . The R9 290X cards are slated to be the new flagship releases from AMD competing with the NVIDIA GTX Titan, with some rumored benchmarks out there even showing the card slightly outperforming the TITAN. The speculation around the interweb is suggesting a price around $700-800 range. This would be pretty impressive at this rumored price-point and rumored benchmarks given that the Titan is still selling at $999+ levels. If you have been pondering a video card upgrade, then you might like to know that Tiger Direct has been able secure a special deal on the EVGA SuperClocked GeForce GTX 660 (02G-P4-2662-KR) with 2GB 192-bit GDDR5, PCI Express 3.0 x16, HDCP Ready SLI Support for only $179.99 with rebate. Hurry though, this offer is only valid through 5/10/2013. How does this deal stack up with Tiger Direct’s competitors? Tiger Direct – $199.99 – $20.00 rebate = $179.99 <- Best Price! Yesterday, NVIDIA presented us with their last desktop GPU release, GeForce GTX Titan. The GeForce GTX TITAN GPU will be available starting on February 25, 2013 from NVIDIA’s add-in card partners, including ASUS and EVGA in North America, and additional partners, including Colorful, Galaxy, Gigabyte, INNO 3D, MSI, Palit and Zotac outside the US. Partner participation will vary by region. Pricing is expected to start at $999 USD. Make sure you have pre-order alerting turned on for each item in the tracker. The first GeForce GTX Titan card we find will take the place of current item (since it is generic). If more than one item is initially discovered, then the EVGA model will take precedence since they are the most popular NVIDIA manufacturer. With a release date of May 10th, one week after the GTX 690, the NVIDIA GTX 670 Series is sure to bring a next level gaming experience to those with a slightly more conservative budget. We have just completed the launch of the GTX 670 In Stock Tracker with 7 items already being tracked. As more models become available, we will be sure to track those as well. Until then, make sure you are one the first to receive alerts from NowInStock.net by registering for your free account, adding the GTX 670 cards you want alerted on to your account, then sit back and wait for those alerts to come in. IMPORTANT: Since this is a brand new product, make sure that you enable pre-order alerts for each item you want notified on if you want to make sure you have one of the first spots in line. As a reminder, pre-order alerts are only sent via email. If you would like to make product tracking suggestions for this tracker, you should be aware of the retailers which we can and cannot track. In the US, we can track Amazon, TigerDirect, J&R, CompSource, and SuperBiiz. We CANNOT track Newegg.com, NCIX.us, and quite a few other smaller sellers. For Canadian tracking, we can track TigerDirect.ca, Newegg.ca, and Amazon.ca. We CANNOT track NCIX.com. For tracking in the UK, we will track eBuyer, Amazon, Misco (if their prices are not ridiculous), and Novatech. We CANNOT track Overclockers.co.uk. If you are a retailer we cannot track, but want to be included in any of our trackers, please use our contact form to send us a note. Following on the heals of the recently announced Nvidia GTX 680, Nvidia ups the ante a little further with the introduction of the GTX 690. With two chips on one board, these cards will be advantageous to those who like to keep their desktop boxes small, but packed with power. And with all new, hot items comes a new in stock tracker. We have just completed the setup of a new GTX 690 In Stock Tracker. Being a pre-release in stock tracker, ensure that when you subscribe to items you enable pre-order alerting. All items at launch are just preliminary/generalized items which will be replaced in the future with the first found product of the GTX 690 line at the specified retailer. 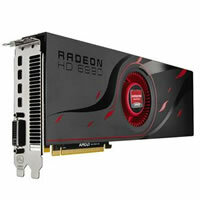 GTX 690 release date is currently listed at May 3rd 2012. Looking to get your hands on the latest NVIDIA graphics powerhouse the GTX 680 series graphics card? Well you may be in luck. We just launched the GTX 680 Series In Stock Tracker. Head on over to see which cards we are tracking, sign up for FREE in stock alerts if the item you want is not in stock currently, and as soon as we see stock available we will alert you! If you are one of the many looking to have the faster video card on the planet regardless of the noise… well then you will definitely want to check out our new AMD Radeon 6990 In Stock Tracker. Yes, we are tracking the fastest video cards on the planet so you can be the envy two fold with your friends. You will have the fastest video card out there, plus you will have the card while every one else waits… unless you want to spread the secret of NowInStock.net to your friends, not your enemies, of course. At the time of writing this post, there was the HIS card in stock at Newegg.com. If by the time you read this stock is no longer available, then be sure to sign up for our FREE alerts! Also, in the future, all AMD cards will be located in the AMD Video Card tracker section. You are currently browsing the archives for the Video Cards category.